South East Caravans wanted a website to buy caravans to replenish their stock. OnSiteNow built them a site that would allow potential customers to input the details of their caravans and send that information to the appropriate department. 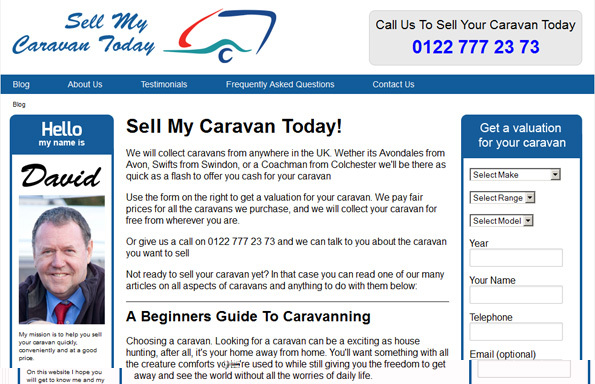 A website was needed that made it east for caravan owners to put in the details of their caravan and contact details. We supplied a drop-down menu of all the various makes, ranges and models of caravans, allowing visitors to quickly supply their details for a quotation.